Onion lights have a distinctive, special look that is often tied to a specific region and time period, namely the east coast of North America in the early 20th century. They are often made with a hand-crafted look in brass, a metal that was very common at the time. They perfectly complement rustic designs, especially if the brass has that tarnished, antique look, and are commonly hung on the exterior of homes or off posts in the yard or garden. Onion lights use bulbs with a distinctive light as well, making them perfect for basking a space in a warm, inviting light. You can often find them in gardens in the summer, which make for a lovely evening setting, or just beside doors for a welcoming light that isn’t too oppressive when it’s dark. While many light fixtures can claim a unique look, onion lights are specifically distinctive and have an instantly-recognizable feel. These lights are made with classic, rustic looks in mind and can fit perfectly in spaces that want to throw back to another time. Putting these lights together with pieces that are of a similar style or feel can create a cohesive look that’s wholly your own. It might be worth considering using onion lights in a less rustic design as well. With their natural charm, they could be a great addition, even to a modern space. So if you are designing around a specific theme, the right onion light may just be the piece to bring it all together, and bask the look in a warm, inviting light. 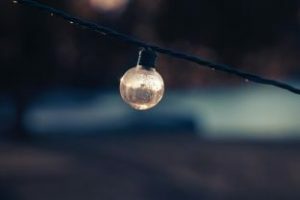 If you are on the hunt for quality onion lights (http://blog.crescentharbor.com/4-reasons-onion-lights-make-excellent-outdoor-lights/) for exterior decorating, Crescent Harbor has a wide range of affordable and stylish options. For particular rustic and classic styles, Brass Traditions by Malco can give your home an incredibly distinctive look. These quality brass fixtures perfectly capture the traditional onion light that basked coastal homes in welcoming light for fishermen coming home for the day. Brass Traditions lights also feature hand-crafted designs that feel like they were made in simpler times. Plus, their post mounts work with almost every standard post available, making for an easy installation process. If you want a unique look for your home or garden, onion lights by Brass Traditions may be the piece you need for a complete and distinctive look.